Shridhar Kulkarni works for Riverbed in the Product Management team with specific responsibilities for Cloud SteelHead and SteelHead Mobile product lines. Prior to Riverbed Shridhar has had an extensive network industry background working for large corporations like Alcatel-Lucent and Nortel, as well as startups such as Accelerated Networks and Aurora Networks in various Product Management and Engineering roles. Throughout his career Shridhar has made significant contributions in developing and positioning cutting-edge technology and networking products to Enterprise and Service Provider customers world-wide. 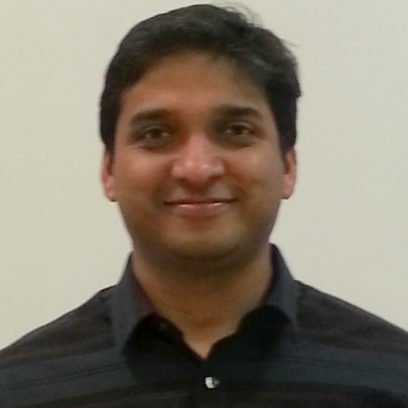 Shridhar has a Bachelor's and Master's degrees in Computer Engineering, and an MBA from UCLA Anderson School of Management. Other than spending his spare time with family, Shridhar enjoys outdoors, traveling places, as well as hiking and playing tennis/golf with friends. What Do an Airport, a Starbucks, a Wi-Fi Hotspot and Your Very Own Cozy Home Have in Common?